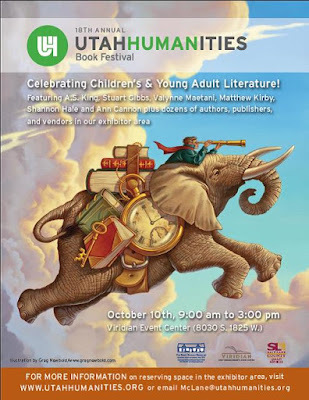 #YAlit #book lovers united on Saturday, October 10, 2015, at the Viridian Event Center in West Jordan, Utah. 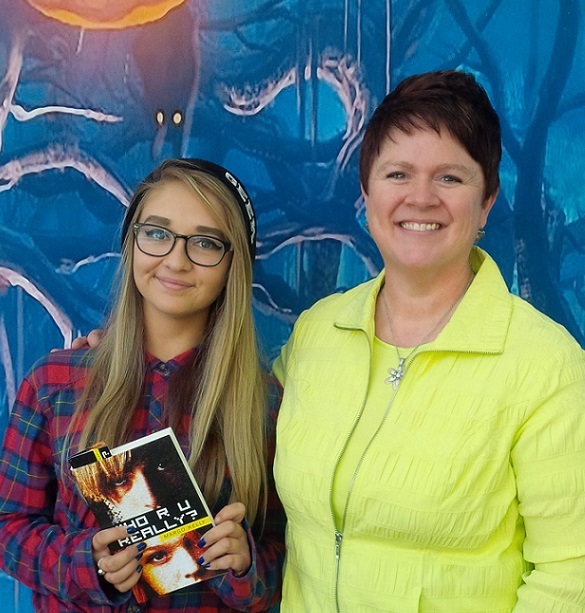 The books offered at the festival ranged from picture books for little kids up to edgy books for older teens. 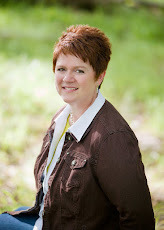 I had the pleasure of sharing a table with author, Lisa Cresswell. My favorite part of the entire trip was hearing feedback about the book! It was a long drive home after the festival. See you next year at the Utah Humanities Book Festival! :) Until then, happy reading. Labels: book festival, books, Lisa Cresswell, Utah Humanities Book Festival, WHO R U REALLY? This is a great place organize an event; they have great staff and great events put on here! I had nothing but great times and great conversations at party venues here. They served slider and shrimp cakes as appetizers with chicken skewers, and eggrolls that had veggies on the inside and some kind of creamy fruit sauce on top.